Environmental groups on Thursday poured cold water over a much-trumpeted initiative by some of the world's biggest petrochemical firms to help end plastic refuse. The Alliance to End Plastic Waste—comprised of big energy, petrochemical and plastic manufacturing firms—said it would donate $1 billion (880 million euros) to "minimise and manage plastic waste and promote solutions for used plastics". But green experts were sceptical as to the intentions of firms such as Procter & Gamble, Chevron and ExxonMobil, and voiced doubt over the effectiveness of the alliance's clean-up plan. "This is a desperate attempt from corporate polluters to maintain the status quo on plastics," said Graham Forbes, global plastics project leader at Greenpeace. "In 2018, people all over the world spoke up and rejected the single-use plastics that companies like Procter & Gamble churn out on a daily basis. "Instead of answering that call, P&G preferred to double down on a failed approach with fossil fuel giants like Exxon, Shell, Dow and Total that fuel destructive climate change," Forbes added. A Greenpeace report last year named Procter & Gamble as one of the biggest plastic polluters. 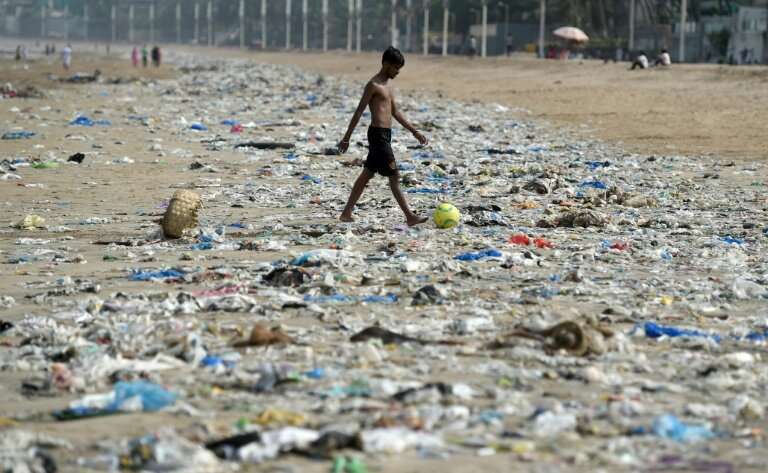 Around eight million tonnes of plastic are thrown into the sea every year, according to the Earth Day advocacy group—equivalent of a rubbish truck-load every minute. The alliance said it would invest in green initiatives ranging from better waste-management and increased recycling of plastics, greater education around plastic use and clean ups in "concentrated areas of plastic waste already in the environment". In a statement Wednesday it said it wanted to invest a total of $1.5 billion over the next five years. While some green groups welcomed the emphasis on better education, others were critical of the plan's reliance on recycling. "We are hopeful that the $1.5 billion will be used wisely," said Jo Ruxton, co-founder of the non-profit Plastic Oceans. "We believe that recycling of plastic is a last resort after re-thinking, replacing, re-designing, re-purposing, reducing and re-using," she told AFP. Gigi Kellett, deputy director of the campaign group Corporate Accountability, accused companies in the alliance of "greenwashing" their long history of polluting. "For decades, these corporations have profited immensely from making and creating unnecessary demand for plastics—while lobbying to block policies that would actually reduce waste and pollution," she said. "The best way to protect our environment is for these corporations to stop blocking real solutions proven to address this crisis at the source—not corporate-backed dangerous schemes that pad profits."